WITH NATURAL SLIP RESISTANCE AND GREAT THERMAL QUALITIES, THIS NATURAL STONE MATERIAL IS THE PREFERRED MATERIAL FOR PAVING AND FLOORING. 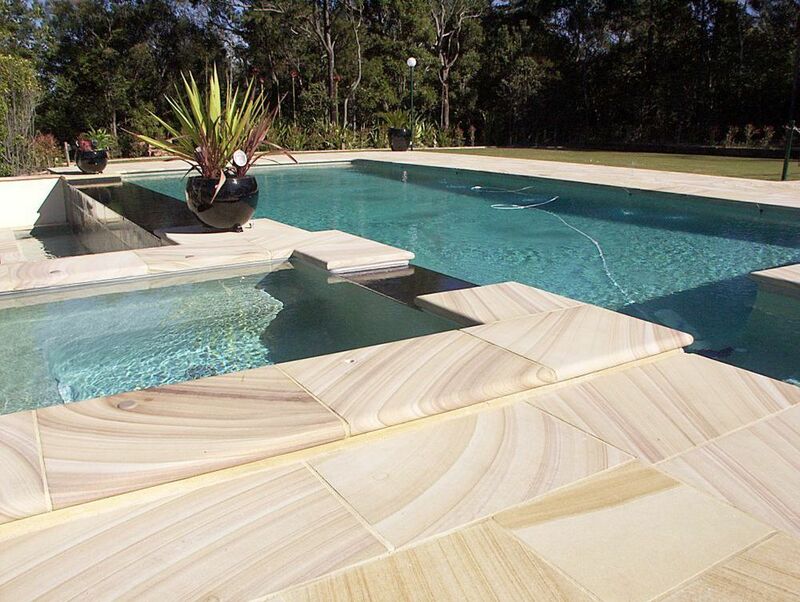 AUSTRALIAN SANDSTONE IS THE IDEAL CHOICE FOR PAVING AND COPING AROUND POOL AREAS AS THERE IS NO NEED TO WORRY ABOUT BURNING YOUR FEET IN THE SUMMER OR SLIPPING IN WINTER. However, all our material can be customized to almost any requested size. Whether you are looking for external pool pavers or internal sandstone tiles, Gosford Quarries supply the highest quality materials across the country. Both the landscaping and architectural community are supporters of using these natural products throughout the garden and construction. When processed correctly this natural stone will last a lifetime – adding it to your property is an investment. 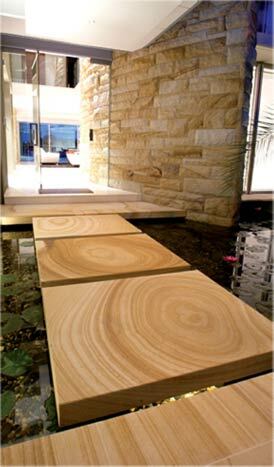 We supply sandstone pool pavers and tiles across Brisbane, Melbourne and Sydney. Add value to your property with sandstone paving. Gosford Quarries have an unbeatable range of colours, styles and processing ability. As leaders in the industry we have a set of techniques that ensure our handling of the material never interferes with the overall quality of our sandstone tiles. 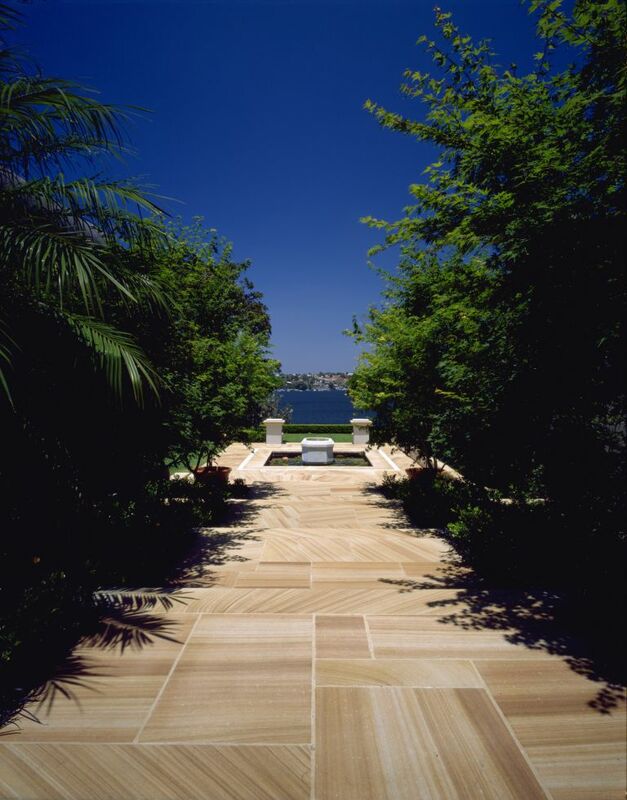 With access to nine of the most renowned quarries across Australia, GQ has the ability to provide some of the rarest colours of sandstone pavers to clients in Brisbane, Melbourne and Sydney. GQ supplies the greatest colour range in the entire industry. Whether you are looking for sandstone pavers for your DIY backyard paving project or pavers for a commercial pool build, our products are ideal for the task. The range of pool pavers and sandstone tiles available from Gosford Quarries is ideal for anyone working within the landscaping sector. Complementing our range of pavers is our standard landscaping products such as retaining wall materials, capping, logs, and edging and crushed rock. 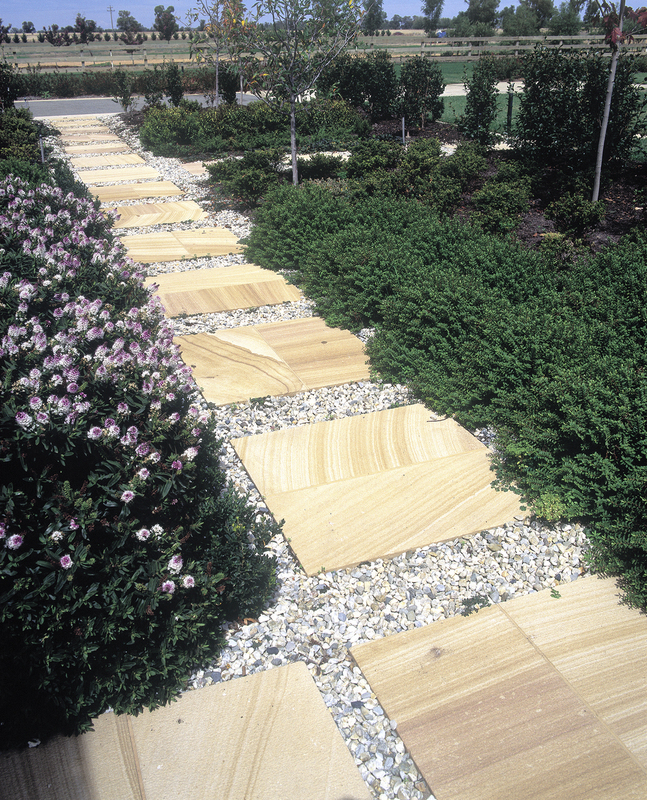 GQ offers a complete sandstone solution for garden design and creation. Whether you are looking for broken up tiles for crazy paving or a smooth square finish for a garden path, GQ has 100% Australian made products that are unmatched for quality. Discover a showroom in Brisbane, Melbourne or Sydney and browse our selection of stock items. 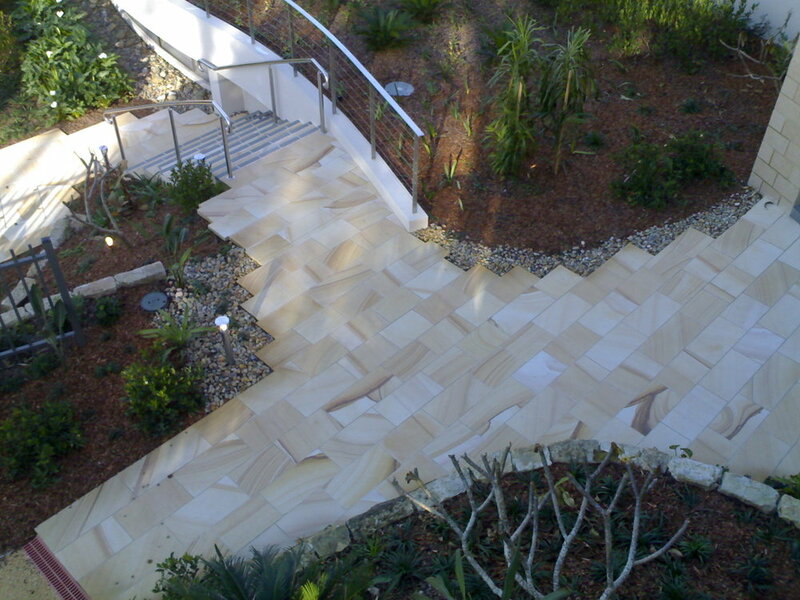 The sandstone pavers and tiles we offer are not only affordable, but are the best of their kind. The level of service we provide in our showrooms and sales yards extends beyond that and across the lifespan of your project. From concept to product delivery, our team is there to assist. 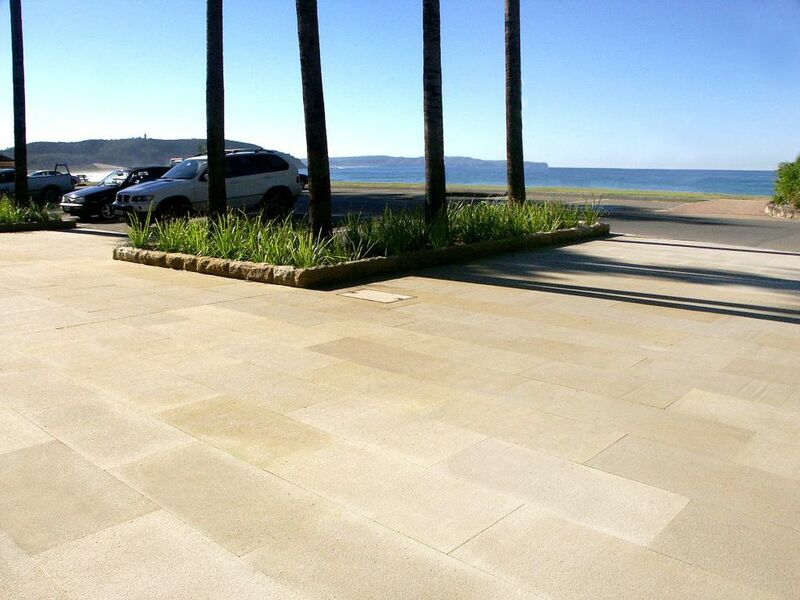 Visit one of our yards or showrooms to meet the team behind Australia’s greatest sandstone paving products.